Humic substances affect soil fertility by making nutrients more readily available to plants. They stimulate microbial activity in soil, help break up compacted soil, assist in transferring micro-nutrients form the soil to the plant, ehance water retention, increase seed germination, and improve the breakdown of plant residue. To help you take a natural approach, we carry the liquid fertility products and the knowledge that can help you get the nutrients more readily available in your soil. Let us help to UNLOCK YOUR FARM'S POTENTIAL. 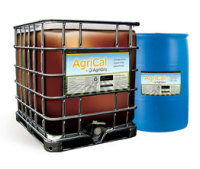 Some of the products we carry include Liquid Carbon, K-28, Sulfur 15, Micro Mix, Hay Now, AgriCal, Foliar Blend, Moly, AgriHance V and Agri-Sweet. Calcium is required in larger quanities than any other nutrient in soil. AgriCal helps soil absorb nitrogen, helps with plant cell wall strength, reduces soil compaction, neutralizes soil acidity, increases water penetration, and improves the activity of favorable soil bacteria. Liquid Carbon reduces soil compaction, improves overall soil health, easy to apply, enhances micro-nutrient uptake, and enhances the breakdown of plant residue. Hay Now is a foliar blend that contains Nitrogen, Potassium, Phosphorus, Sulfur, Iron and Zinc. It helps enhance growth and root develpment. Hay Now helps your hay crops and pastures during periods of stress. When diluted, it is safe to apply to fields where animals are prsent. It can be also be applied with herbicides. 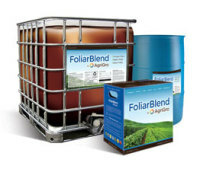 Foliar Blend improves soil structure, assists in seed germination, improves root systems, improves the availability of resident soil minerals and fertilizer materials, aids in detoxification of pollutants, improves, natural resistance to pests and drought and improves crop quality and yields.